Since the fine needle is a consumable item, If you buy this device from our store we will gift you 20 fine needles(Please see the describe picture), if you want to buy more fine needles, please click here. 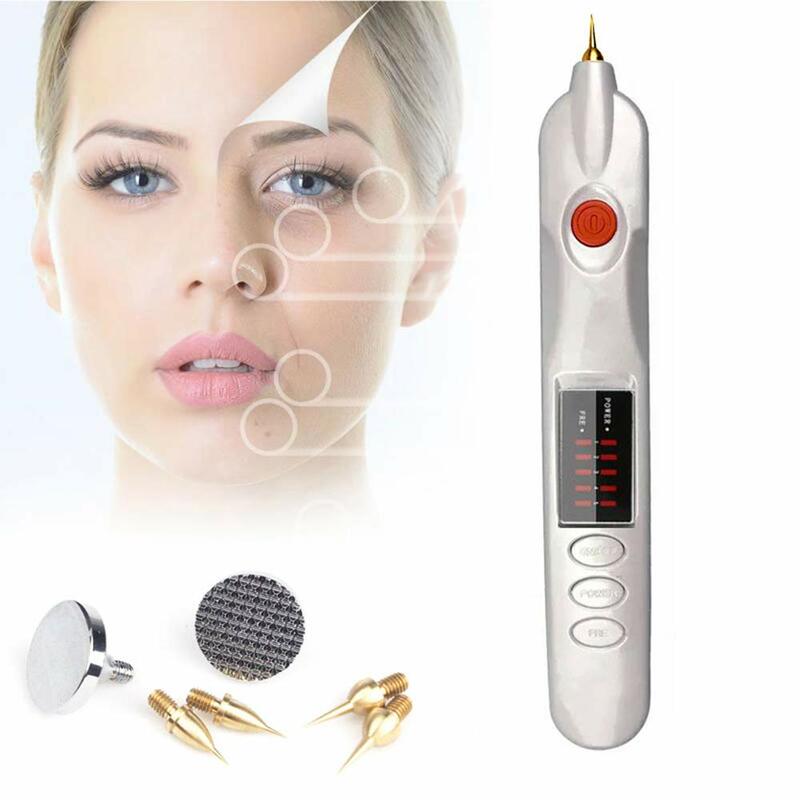 It\'s an efficient spot removal pen which adopts the latest technology.It is safe,fast and comfortable in removing moles and freckle without any side effects. 1.With a safe use pencil shape,which makes it easy to operate and carry. 2.With a LED digital control system,which is safe, fast and convenient,making romoval achieve quickly without bleeding, safe and side effects of medical cosmetic results. 3.FOUR MODES:It has 4 adjustable scan spot power outputs and 9 level power for different treatment.Lower level is used on spot and freckle and strong level is used on mole and skin tags. 4.TWO NEEDLES:The long one is used on large moles or spots and the short one is used on tiny moles or spots. 2. After the needle is installed, adjust the gear (third button) and adjust to your personal situation. The figure on the left side of the screen is the adjusted gear. There are 9 (unchanged) on the right, which means a total of 9 gears. 3. Press the job key (second button) and the red dot in the middle of the display flashes to indicate that it is working. If the point is not lit, the device is stop working.